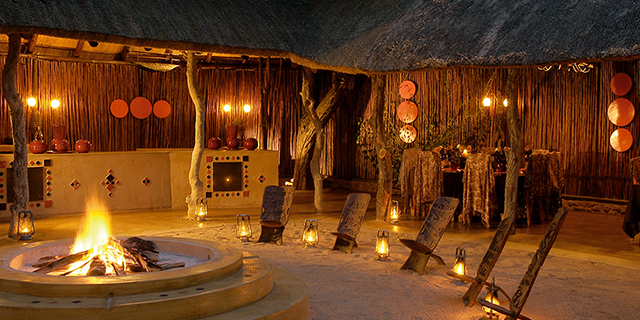 This safari incorporates three of the most elegant and luxurious safari lodges in South Africa, covering the country's two top safari areas. 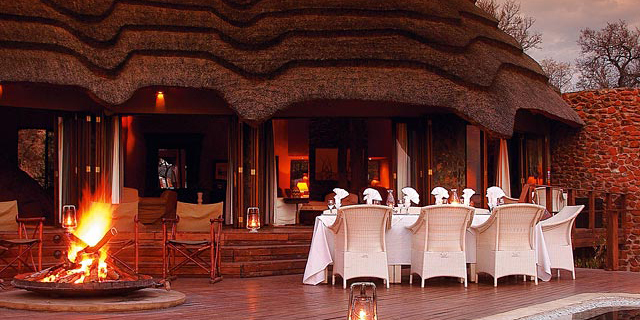 View the "Big Five" and other high profile species while indulging in sublime luxury and fabulous food. The Madikwe Reserve lies on South Africa's northern border with Botswana and features habitat and wildlife of both the Kalahari and the Limpopo bushveld. The Kruger Park is one of Africa's most game-rich wilderness sanctuaries, with an unrivalled concentration of species diversity. Daily departures for two or more guests, based on availability at the lodges. Arrive Johannesburg International Airport under your own arrangements. You will be met by a representative of our local partners who will expedite you through immigration and customs, and assist you onto your shared charter flight to Madikwe Hills Safari Lodge in the Madikwe Reserve (departing at 1:00pm and arriving at 2:00pm). Spend three nights at Madikwe Hills Lodge on a fully inclusive basis (including accommodation, all meals, game drives, teas and coffee, all alcoholic and non-alcoholic beverages (except premium brands), optional walking safaris, and the services of a professional guide and tracker). Today you will be collected from Madikwe Hills Lodge and transferred by shared charter flight to Johannesburg International Airport (departing at 11:15am and arriving at 12:15pm). Connect by shared charter flight to King's Camp in the Timbavati Reserve (departing at 12:30pm, arriving around 2:00pm). 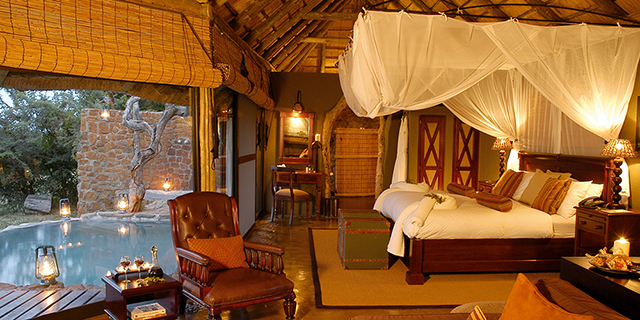 Spend two nights at King's Camp on a fully inclusive basis (including accommodation, all meals, teas and coffee, twice daily game-drives and once daily game walks, and the services of a professional guide and tracker). Today you will be collected from King's Camp and transferred by light aircraft to Leopard Hills Private Game Reserve in the Sabi Sand Reserve. Spend three nights at Leopard Hills on a fully inclusive basis (including accommodation, all meals, game drives, teas and coffee, all alcoholic and non-alcoholic beverages (except premium brands), optional walking safaris, and the services of a professional guide and tracker). You will be collected at Leopard Hills and transferred by shared charter flight to Johannesburg International Airport, departing at 12:30pm and arriving around 3:00pm. The safari ends. Accommodation as specified, Meals, safari activities, and drinks as specified, Ground transportation and excursions as noted, Park and entrance fees for lodges/camps inside national parks, Shared charter flights between lodges as specified; Laundry; All government and airline taxes. International flights to and from South Africa; Drinks (unless otherwise specified), Items of a personal nature, Gratuities, Meals other than specified, Excursions other than specified, Flights other than specified, Medical, cancellation and baggage insurance.